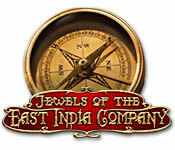 Rated 5 out of 5 by tailswhiskers from Jewels of the East India Company I am playing Jewels of the East India Company. It is a Match 3 game. It is very relaxing to play. The object is to change the whole board to gray. I am finding it very easy. If you can get a chain of 5 of the same color, you will get a coin. That coin can be picked up with another color match. I would recommend this game. Rated 5 out of 5 by iLegend from Fun Match-3 game I liked it a lot. Great variety of levels and tasks. Rated 4 out of 5 by mownay from Nice relaxing game This game is very relaxing and non-challenging. I like it because at the end of a busy and stressful day, I found solace in playing this game and giving my brain a rest. If you are looking for a game to challenge you, than this is not the game for you. However, if you want to just chill-out in front of your computer, then buy this game. Rated 3 out of 5 by J4016C from It's Okay Not thrilled with this Match 3 game. But I did buy it. It does have some challenging levels. I do not like the brown background/story. I want to hear a voice associated with the story. I also like color. Brown is so 70ish.....Big Fish can do better. It is a good game just to relax and spend a little time away from the present. I do want more challenge so I hope Big Fish will answer my prayers!! I recommend this game but only by a slim margin. Rated 3 out of 5 by sj1384_ from Okay game No brain drain here. Just straightforward Match 3. Not a lot of story line, characters, or interaction. It is just matching and going. All fine and good as long as that's what you're looking for. 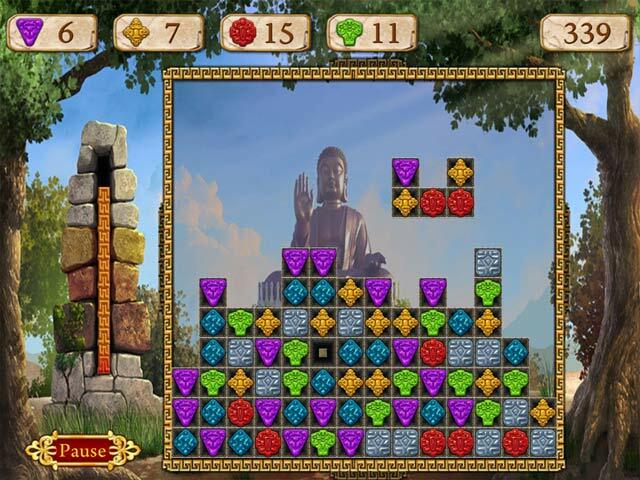 Rated 3 out of 5 by parkersam from Jewels gone west Its an ok game, I like match 3 games a lot, but this one is like so many other ones in the Big Fish stable. Rated 3 out of 5 by coolmom4 from Boring match 3 game I tried all the levels, even the hard level was really easy. There was no challenge to this game, BORING very fast. I'm getting very disappointed with the Match 3 games from Big Fish. Come-on people, you can do better. Give us better story lines, graphics, and colorful. As well as more challenging. My 3 year old granddaughter was able to play the hard level. 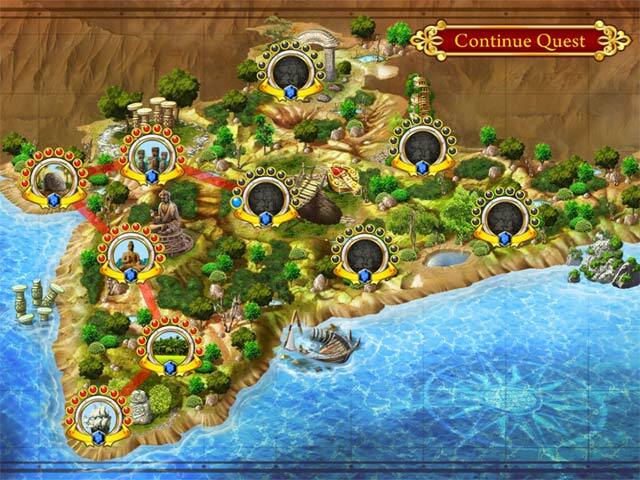 Rated 3 out of 5 by myyorkies1994 from Just Play it For Relaxation! 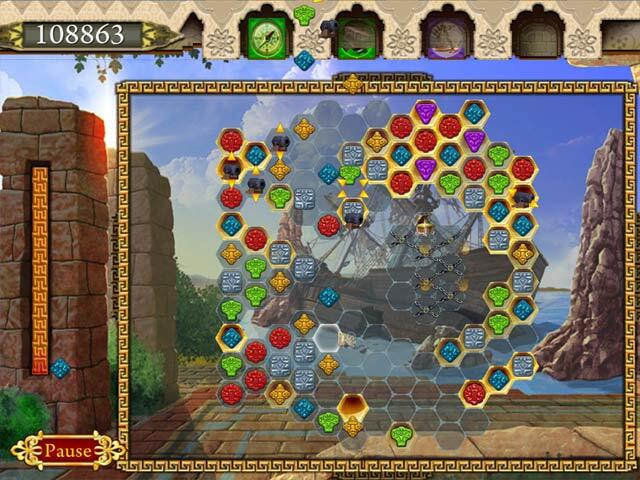 This M3 allows you to link the matching icons, as many in a row as possible, while breaking chains, double chains, and getting your treasure chests to the bottom. The timer is very generous in the Easy Mode, and presents more of a challenge with the higher levels. As each level progresses the board increases in size, and the final board is the most fun and challenging, though the icons get very small. Use your cannons-they add to the fun! There isn't much of a storyline, and the game doesn't tell you what level you're on, but it’s a fun M3 to relax with.